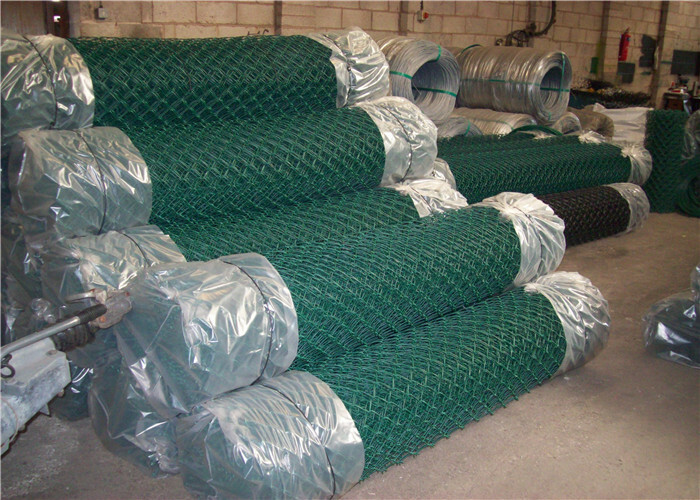 Product categories of Plastic Coated Chain Link Fence, we are specialized manufacturers from China, Plastic Coated Chain Link Fence, PVC Coated Chain Link Fencing suppliers/factory, wholesale high-quality products of Green Coated Chain Link Fence R & D and manufacturing, we have the perfect after-sales service and technical support. Look forward to your cooperation! 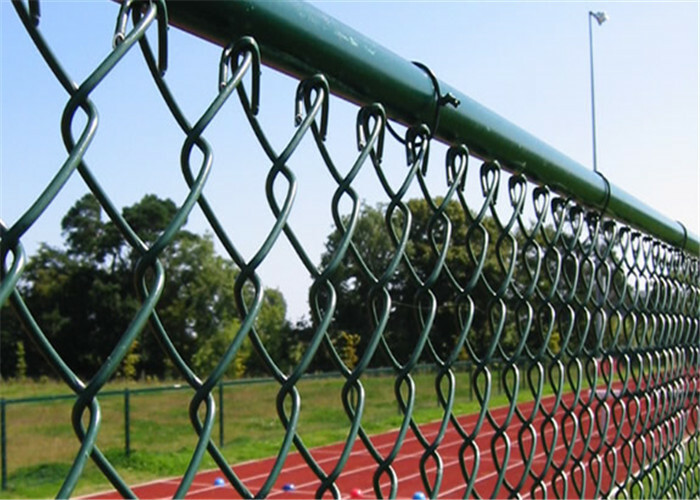 Plastic Coated Chain Link Fence, is a Woven Wire Fence with diagonal mesh. This wire fence is made from Plastic Coated Wires provided with a galvanized core, resulting in double protection against rust. It is available in various colours, the most frequently used colours are: RAL 5018 – blue, RAL 6005 – green, RAL 9005 – black. Material: Electro galvanized+PVC coated, electro galvanized + PE coated. Packing: Make each end plastic bag or woven bag. Usage: widely used in super highway, airport, sport yard, garden. The top and bottom of this fence can be formed by a knuckle or twistedge (see illustrations Type A and Type B). Color: Green, Black, Yellow, etc. The wire thickness can also vary. The most frequent wire thickness is: 1.5/2.5 mm, 1.8/2.8 mm, 2.0/3.0 mm. The first size is always the diameter of the galvanized core and the second size is the outerdiameter of the plastic coated wire.